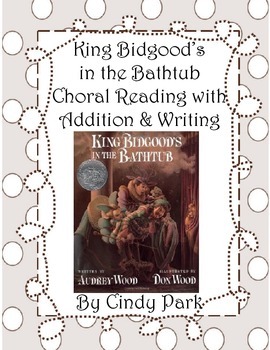 This choral reading of the Story King Bidgood's in the Bathtub is a clearly marked script which could also be used as a play. 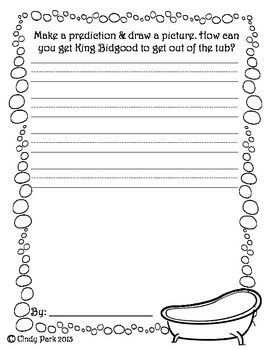 Fairly easy to read to give kids practice in fluency and expression. 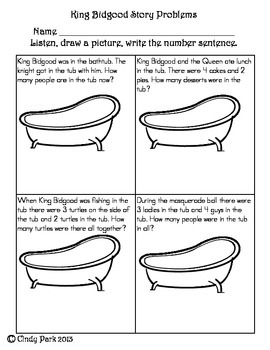 I have now added a math story problem page (math page is K-1) and a writing page. 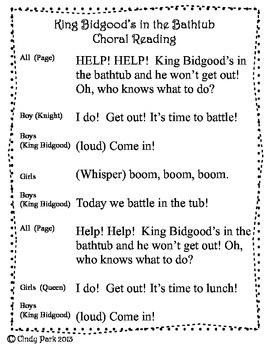 I have also improved the choral reading pages. Please check this out and don't forget to let me know if you like it by posting a rating.